Operawala is joining forces with the Italian Embassy Cultural Centre to commemorate the death centenary of Italian composer Francesco Paolo Tosti. Tosti lived in England for a large part of his musical career and he was one of the favourites of the the elite in the UK at the turn of the century. He was also Singing Master to the Royal Family. With songs that once enthralled many a stately home, Oscar Castellino and Nadine Crasto will transport audiences to a time when salon music was at its height and Tosti its champion. The first concert is targeted towards student audiences at St. Xavier’s College, but open to the public. This will be held on Tuesday, February 23 at 1:30 pm at the chapel at St Xavier’s College, Mumbai. 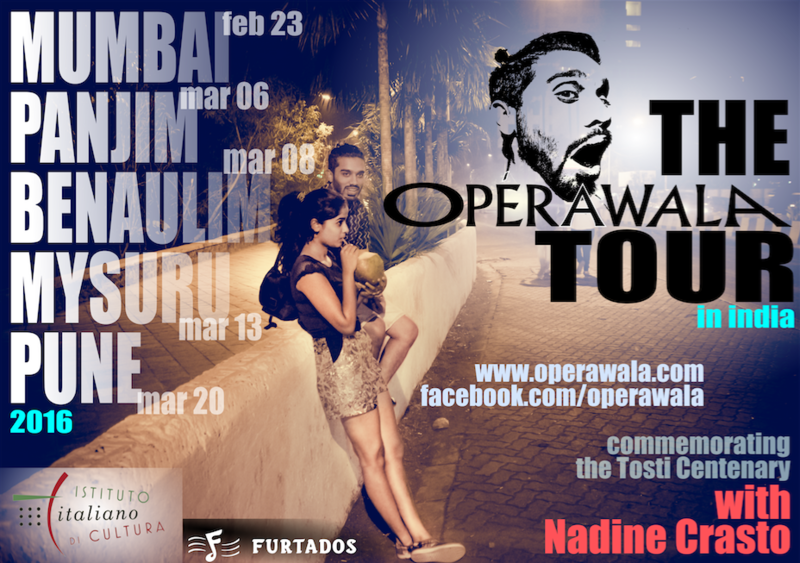 Of the two concerts in Goa, the one in Benaulim is open to the public. The Goa Chitra Museum will be its venue on March 8. Mysuru will be the next stop on March 13, while Pune’s Mazda Hall will be the final destination on March 20. The Italian Embassy Cultural Centre – Mumbai Section, or Istituto Italiano di Cultura (IIC) is part of a worldwide network of 83 Italian government offices located in all continents with a view to promoting Italian culture and civilization. IICs organize cultural events, offer courses of Italian language and civilization, facilitate contacts between Italian and local researchers and scholars and cooperate with local cultural organizations and academic institutions.